Jennifer Crook is the Executive Director of Curriculum and Instruction. She began teaching at China Spring in 1997. She has served the district in many capacities. She has been a LIFE Skills teacher, a third grade teacher, and a second grade teacher. 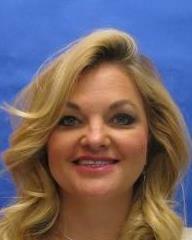 She has also served in the roles of high school counselor and intermediate assistant principal. Before coming to China Spring ISD Mrs. Crook taught resource math at Connally Middle School. Mrs. Crook grew up in the Waco area. She graduated from Connally High School. She received her Bachelor of Science degree from Paul Quinn College, and she received her Master’s degree in Educational Administration from Tarleton State University.